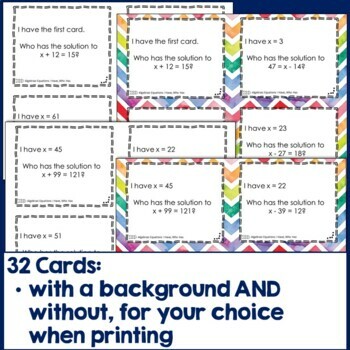 Have fun solving algebraic equations! This "I Have, Who Has" targets solving one-step addition and subtraction equations. There are 32 cards in this set. The set is here twice - once with no background and once with a background, to give you printing options. 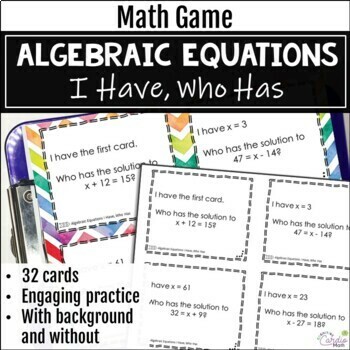 For more algebraic expressions and equations activities, check out Algebraic Expressions and Equations Bundle.